For the more adventurous gardener, General Hydroponics offers the PowerGrower 8-Pack Kit that includes a hydroponics system controller. 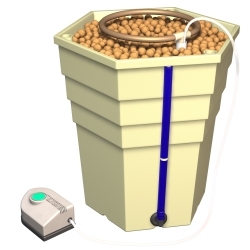 This top feed / drip hydroponics system has hexagonal (6-sided) shaped growing containers - Each measuring 15" across and 15" tall, making them ideal for a larger sized plants, such as blueberry bushes or tomatoes. 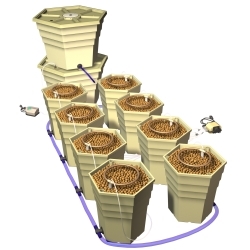 The growing containers placed together create a high performance hydroponics growing area measuring only 4 feet across. This efficient use of space resembles a high-density honeycomb. As plants mature you are able to move them apart to give them growing room. 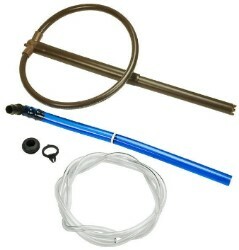 Blue Tubing - 20 ft. 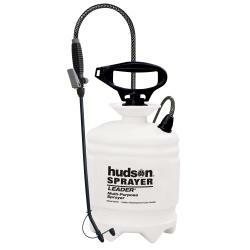 Choose from 1, 2, or 3 gallon Leader® poly sprayer. 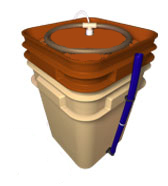 Each sprayer has a funnel top translucent tank with a Viton pump. 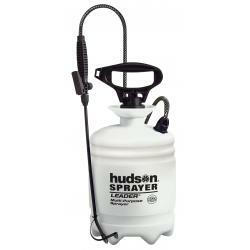 The big pump handle makes it easy to carry and easy to pump. Comes with adjustable nozzles. Heavy duty design.